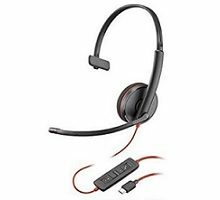 Categories: Speech Recognition, USB Headsets, Headsets, Jabra Headsets. 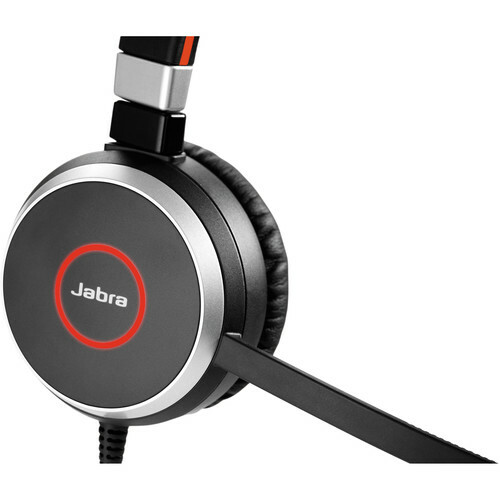 Stay focused with the Jabra EVOLVE 40 UC Mono Headset – 6393-829-209. 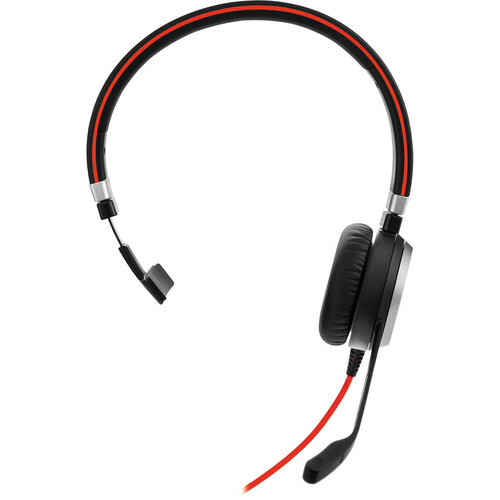 This headband-style headset features a noise-canceling microphone, so you can be better heard at the other end. When not in use, the microphone boom arm can be easily stowed by integrating it into the headband. A busy light on both the headset and control unit alerts others that you do not wish to be disturbed. 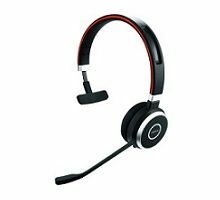 For easy operation, the headset comes with a control unit that provides access to commonly used functions like volume and mute, as well as the ability to end and answer calls. This control unit connects to your EVOLVE 40 via a 3.5mm headphone jack, so you can plug your headset into smartphones, tablets, and more. 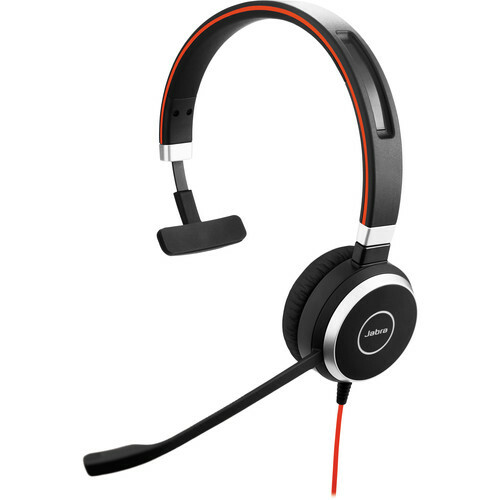 The EVOLVE 40 UC Mono Headset is optimized for Unified Communication systems, providing instant “Plug & Play” installation for your headset. 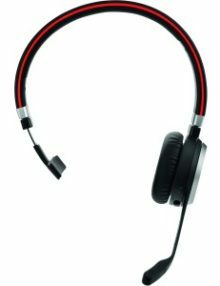 The headset is compatible with most vendors of Unified Communication systems. 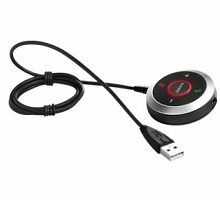 It connects to your system via the USB cable on the control unit and uses digital signal processing (DSP) to digitally optimize the user’s voice and suppress echoes. 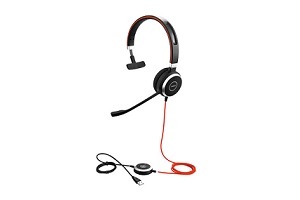 It comes with a leatherette ear cushion and a soft pouch. 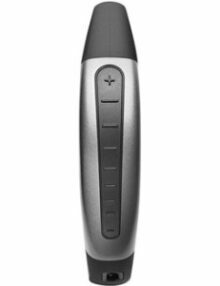 The EVOLVE 40 can be used for music as well as voice. 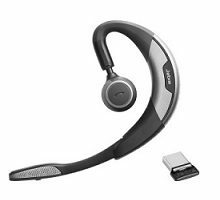 Jabra PC Suite enables remote call control with the Jabra EVOLVE 40 and the latest generation of UC and IP softphones by giving you a number of remote call control functions either directly from your headset or from in-line buttons on the cord. The seamless integration between headset and softphone allows users to benefit from enhanced mobility and the ability to multitask while on a call.